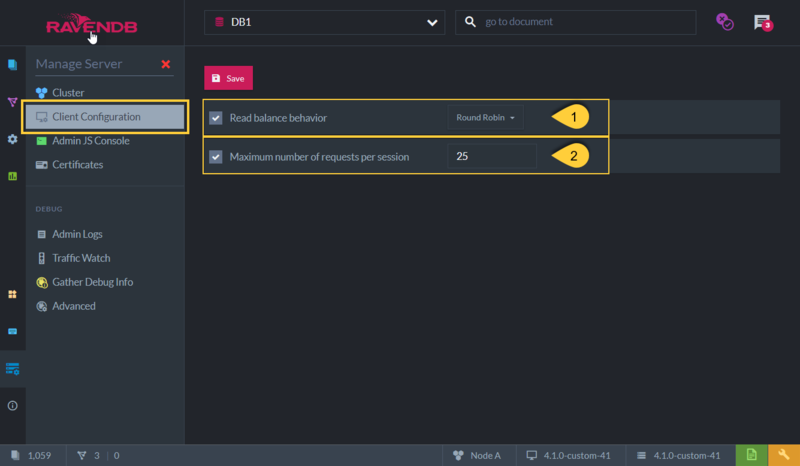 Set the load-balance method that the client will use when accessing a node with Read requests. The method selected will also affect the client's decision of which node to failover to in case of issues with the Read request. Note: Write requests will always access the preferred node calculated by the client. Set this number to restrict the number of requests (Reads & Writes) per session in the client API.